With all of the metal detectors on the market it may seem a bit overwhelming to know which machine fits your needs. Let’s take a look at the Minelab Excalibur 1000 to see what this has to offer. We will look at the specifications of the Excalibur 1000, look into the details of its features and functions, the ease of use and user friendliness, have a good look at the pros and possible cons and give you an honest review so that you will know if the Minelab Excalibur 1000 is the detector is what you are looking for in a possible upgrade or if you are looking for your first detector. 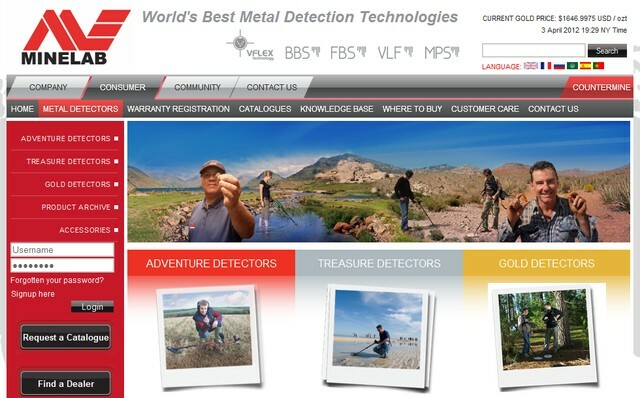 To see what the Minelab Excalibur 1000 delivers and to find out if this detector is the one for you, we are going to give a detailed, brutal Minelab Excalibur 1000 review to let you know exactly what you are getting with this machine. We will look at the specs, discuss the pros and any cons, have a good look at the features and see how this machine performed out in the field, beaches and other areas. 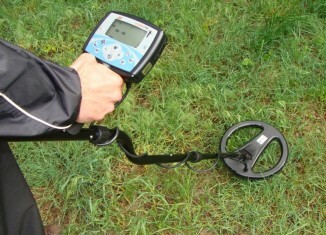 Let’s begin by looking at the specifications of the Minelab Excalibur 1000. The manufacturer, obviously, is Minelab, who are respected and have given us quite a few great machines. The Minelab Excalibur 1000 is designed for beach and water detecting. It is recommended for advanced users, although this should not stop anyone new to the hobby, if you are the type to read over manuals from start to finish and accompanying videos and let’s not forget if you are good with electronics. The weight of this machine is a light 4.51 pounds and we cannot forget that that this weight is going to feel a lot lighter under water. 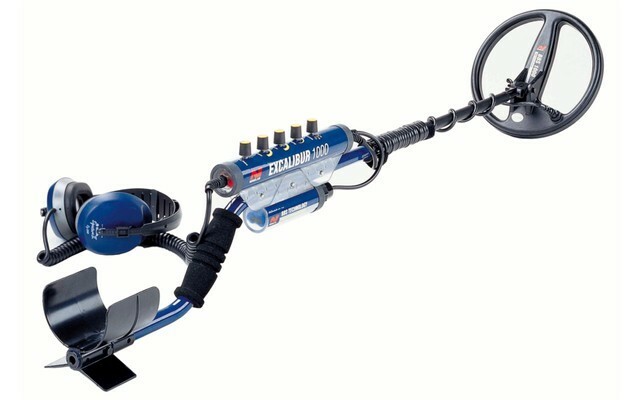 The Minelab Excalibur 1000 operates on seventeen different frequencies from 1.5kHz to 25.5kHz at one time. Now, the conditions of beaches can be rough on a detector. We are talking about heavy salt conditions, obviously water and sometimes stormy weather that blows up the sand. Salt water beaches need sturdy and powerful detector that will deliver. The Minelab Excalibur 1000 gives an excellent performance in water sweeping. For the devoted salt water hunter, the Minelab Excalibur 1000 delivers as promised, is extremely reliable and just as importantly, is more than sturdy enough for the conditions. It is said that the Minelab Excalibur 1000 is comparable to the Explorer SE or the GTI 2500, however I find the Excalibur 1000 perform much better in just about every aspect. Some of the best features are that it works incredible in both salt and fresh water. Having seventeen frequencies all at the same time can’t be beat, the discrimination is unbelievable. The way this baby works is that it uses tones to signal metal that is under the coil. And speaking of coil, it’s great that you have your choice of eight or ten inch coils to see which works best for you. It doesn’t matter which one you choose, the price is the same. Personally, I strongly feel that the smaller eight inch will give you smaller gold targets than the larger ten inch. If you are devoted to looking for nuggets, this would be your best option and the only change si that your area covered will be a bit smaller, worth it for most who really want to go after those gold nuggets. I use the ten inch myself, because I like to comb very large areas of beach. My experience with the Minelab Excalibur 1000 is that it has held up incredibly well, has not let me down and I can’t imagine an upgrade from this incredible hunting companion.